Phlegm is the body’s counterattack against foreign bodies that invade it from time to time. These include substances such as dust, grass, pollens, etc. When these entities enter the body, it responds by creating a mucous coat to trap them and prevent them from doing further harm. Unless you live in a sterile bubble, exposure to these invaders is inevitable. Your body has then created phlegm to protect you. Phlegm that the body produces settles in the chest and throat. 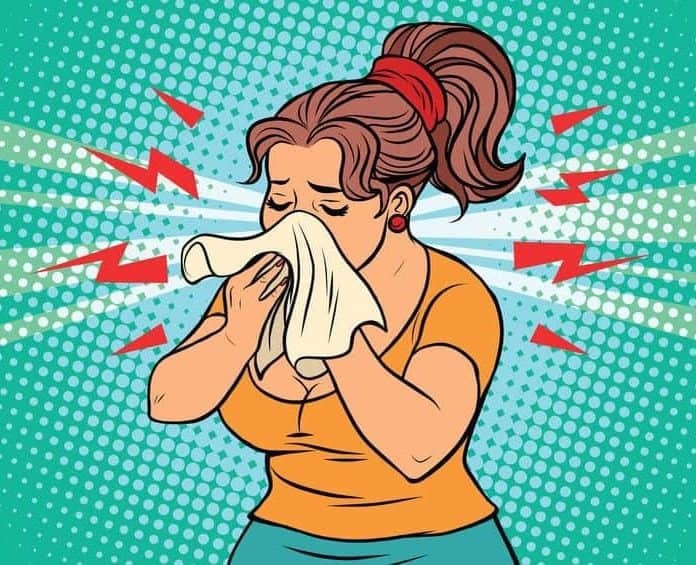 Left unabated, phlegm can eventually become infected resulting in the need for a trip to the doctor’s office and a course of antibiotics. This is because phlegm can contain bacteria and virus cells produced in order to fight off the substances that have invaded the body. Common illnesses caused by an accumulation of phlegm include upper respiratory tract infections, sinusitis and allergic rhinitis. The trick is to treat the accumulation of phlegm before it becomes infected. Whilst over the counter medications can be obtained to do this, there are a number of home remedies available. A discussion of 10 follows. They are highly effective, 100% natural, non-invasive and inexpensive. Most medical healthcare professionals advocate their use. This entails a hot shower in a confined space (i.e. keeping the doors and windows of the bathroom closed). Deeply inhale the resultant steam. Two such showers a day (of about 10 minutes each) are advised in the case of high volumes of phlegm. Use a tub of boiling water for this method. The user places their face over the tub of boiling water and inhales the steam. Placing a towel over the head in order to confine the steam and maximise inhalation is an advantage. Do this several times a day. Each session should last about 7 – 10 minutes. It is important to bear in mind that whilst essential oils are natural, they must still be used sparingly and with caution. Follow the directions on the products. There is a risk of allergic reaction to essential oils. For those with a history of allergies, consult with a medical healthcare professional prior to using essential oils.